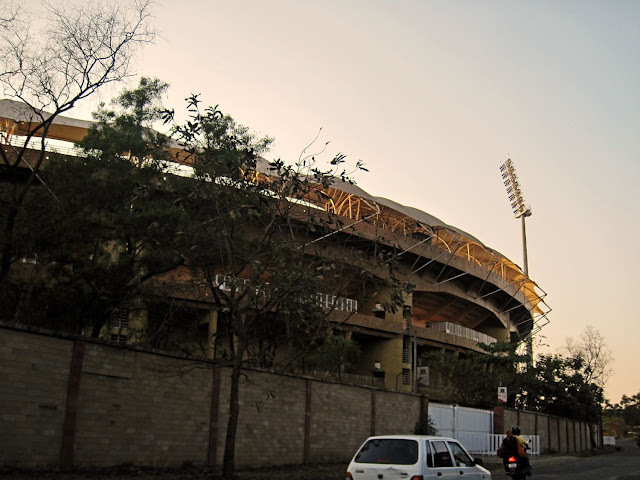 These are photographs of the DY Patil Cricket statium at Nerul which has been built as per international cricket stadium norms and can seat 60,000 spectators. The stadium also contains 9 tennis hard courts, 4 indoor badminton courts and an Olympic sized swimming pool but these are not in the photos. The photographs here are of the facade of the stadium building. This picture is of one of the main gates of the cricket stadium. 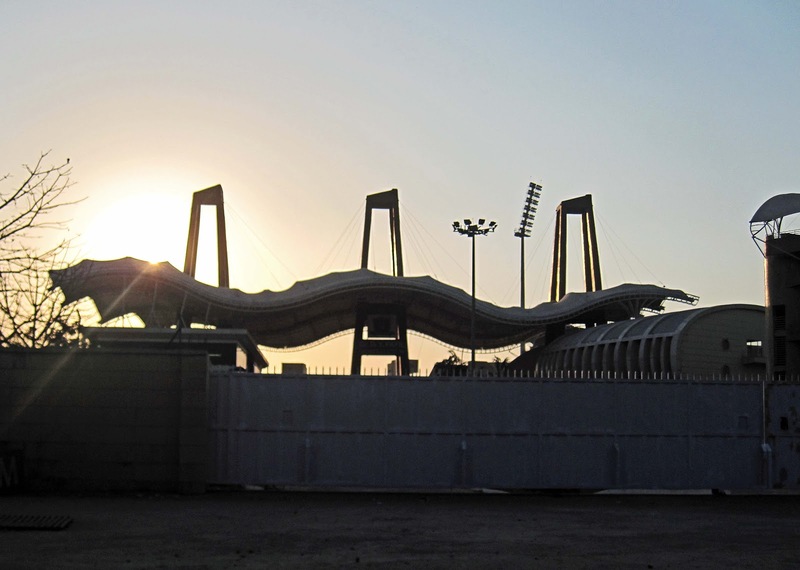 The gates and part of the stadium are silhouetted against the evening sky. 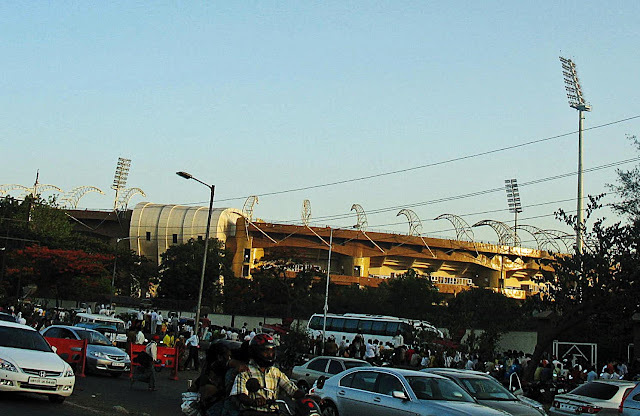 Here is a close-up of the high walls of the DY Patil cricket stadium. The cricket stadium is transformed and comes alive when cricket matches are playing there. The crowds outside this huge stadium are difficult to manage.